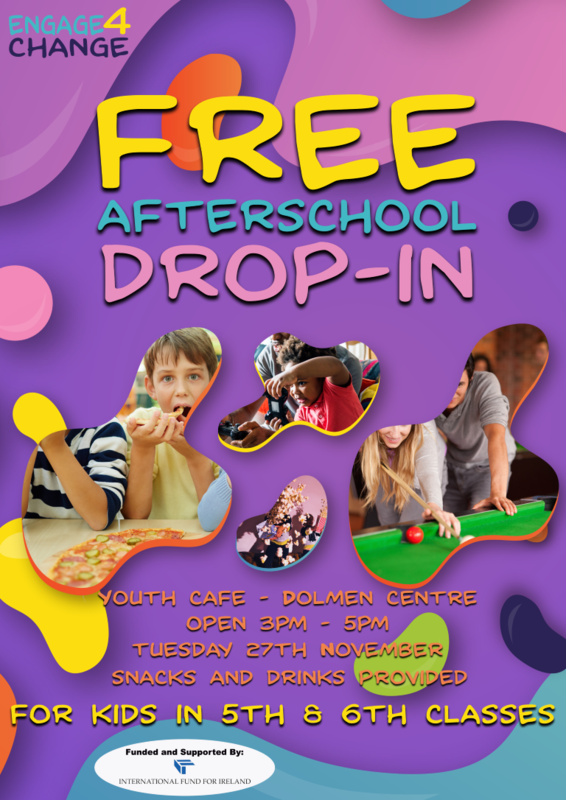 Calling all 5th & 6th Class students - Free Afterschool Drop-in in the Youth Cafe at the Dolmen Centre. Open from 3pm to 5pm. Snacks and drinks provided.